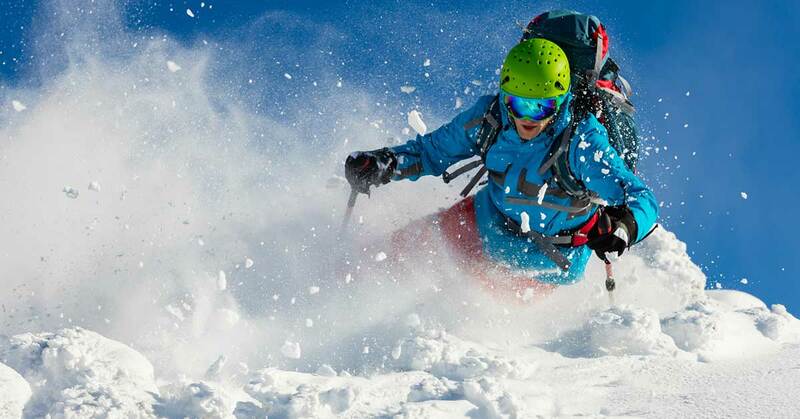 Durango Colorado is a haven for skiers and snowboarders from all across the country. During winter in Durango, thousands of visitors come to experience the scenic and abundant landscape that sets the perfect scene for winter sports. Visitors looking for the ultimate ski experience have many options to choose from. Purgatory, Wolf Creek Ski Area, Silverton Mountain, Hesperus Ski Area and more are located close to the city, providing a variety of experiences for everyone looking for incredible skiing near Durango. Skiing is by far the most popular winter sport in Durango. The ski season typically spans from November to April as conditions permit. Skiing is commonly known as one of the easier winter sports to master, so if it is your first time out on the slopes, don’t worry! Select ski resorts have lessons available for those looking to discover new skills. If you have already mastered skiing, there are expert level hills at various resorts for you to test out. While many find it slightly more challenging to learn than skiing, Snowboarding is also a popular sport to try out during Winter in Durango. 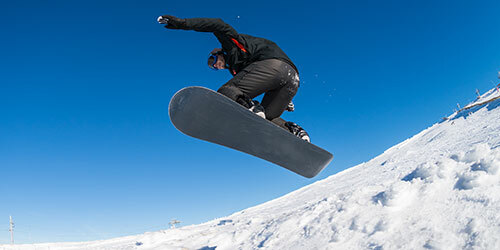 Swap out your skis for a day and strap into a snowboard for an exciting new challenge. Most ski resorts and hills near Durango also offer snowboard rentals, complete with boards, bindings and boots, so that everyone can try something new. 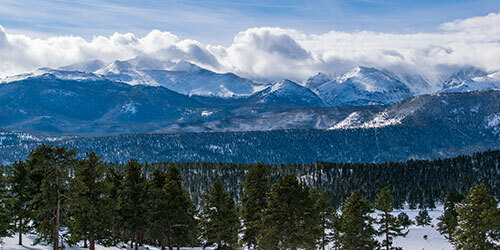 Hitting the slopes is easy with all of the great locations for skiing near durango. There are many resorts, areas and mountains within a 30 minute drive of the city. Each ski area offers a variety of slopes and trails so that visitors of all levels can safely enjoy themselves. Many locations offer equipment rentals as well, so if you are not a frequent skier, don’t fret. You can grab skis, poles, boots and more from the chalet before you hit the slopes. If you are at all familiar with Durango, you have probably heard all about Purgatory. This mountain offers 10 lifts taking you to 85 groomed trails spanning in excess of 40 miles! These trails are broken up into 23% beginner, 51% intermediate, and 26% expert/advanced. With this spread, you would have to consciously try in order to miss finding a trail that suited your fancy. Because the resort offers such a variety of slopes and trails, covering more than 1,700 skiable acres, it has been ranked as the “second-least-crowded ski area on the continent.” It was also ranked as the most affordable ski destination in Colorado 2018. Mesa Verde winter activities such as cross country skiing and snowshoeing at Mesa Verde can be a very peaceful experience. Many times you may be the only person around, getting the opportunity to take the gorgeous surroundings in. Because most of the trees are bare, wildlife is more visible in the winter. You may even be able to find their tracks in the snow. If you are fortunate enough to be able to cross country ski or snowshoe in Mesa Verde National Park, you will not be disappointed. In recent years, there has not been enough snow to cross country ski or snowshoe except for a few days during the winter after a heavy snowfall. Colorado’s dry climate and sunshine cause the snow to melt quickly after a snow storm. Please call (970) 529-4622 or go to NPS.gov for current park road and cross country skiing and snowshoeing conditions. Two park roads listed below are designated for cross country skiing and snowshoeing when snow permits. Skiing or snowshoeing in the backcountry of Mesa Verde National Park or other park roads is not permitted.